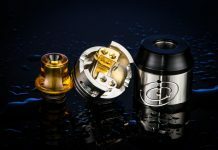 Not normally being one to miss out on the next best RDA, RTA or Tank I have to say I missed out on the original Drop RDA from Digiflavor. I have not, however, missed out this time around when I took the Drop Solo RDA for a spin! As always, I will let you know everything about the product from a specification point of view and then finally let you know my own thoughts at the end. 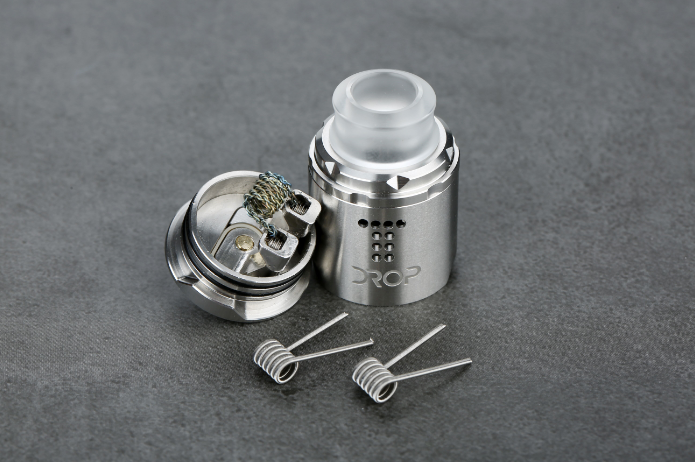 As the name suggests, the Drop Solo RDA is a single coil RDA, I do not tend to use any RDA in the single coil so this is a new one for me. Measuring up at 22mm, this is a nice small RDA that is easily going to fit on any mod but more importantly will fit on smaller mods for that smaller, more discreet vape. The Drop solo is a collaboration between Brian from The Vaper Chronicles and Digiflavour. Digiflavor, of course, brought us the original Drop and also one of my all-time favourite RTAs the Pharoah. 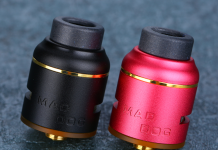 Wow, this is a great looking little RDA. Initially, I thought the 22mm size would look stupid on some of my mods but the included beauty ring helps it to blend in better with the mods. The dual airflow looks cool too. Small holes arranged into a T shape on either side. The airflow control allows various configurations of airflow too. All in all, this looks to be well made and up to the usual quality stands of Digiflavor which is great! Being a single coil I expected a nice easy and fast build experience, but not as fast as this turned out to be! 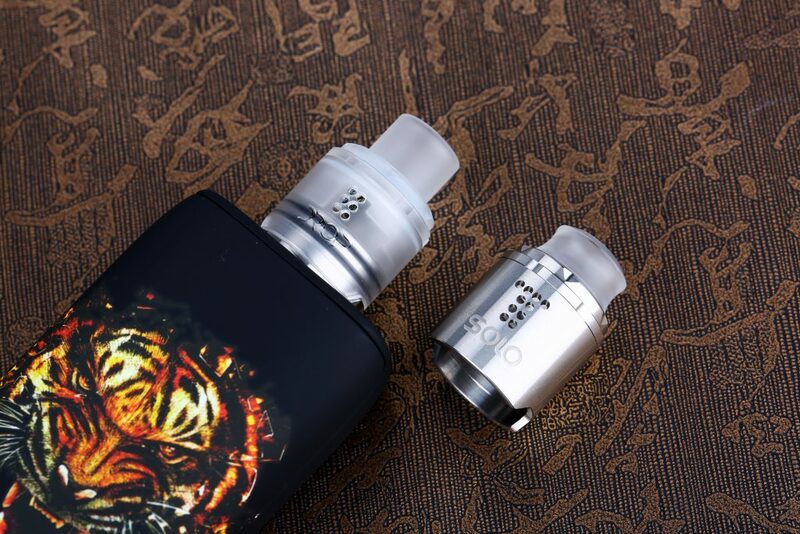 The two post design allows you to literally insert coils and trim! Easy! Decent sized coils, enough room for ample amounts of cotton and a 5 mm well to boot. I am impressed! When using, this proved itself more than capable of producing some fantastic flavour. Working through various different airflow options gave varying levels of flavour but none of which were unsatisfying. Obviously warmer vaping was achieved with a lower level of airflow but this is normal with any device anyway. 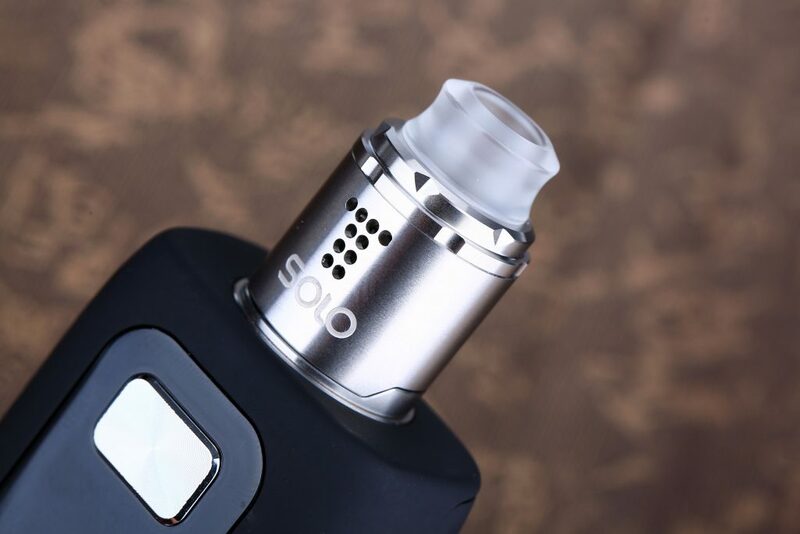 Personally, I preferred the included drip tip and stainless top cap over the PMMA option. The tip was just a bit too small for my liking. The included, and removable tip feels a little strange at first but you soon get used to it. I struggled to find anything that I did not like to be honest. Perhaps my only niggle is the airflow control is a little tight at times, a little bit of e-liquid loosens things up though. The positives far outweigh this negative though. Deep and punchy flavor, decent vape temp, stylish and a well made RDA. 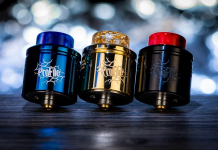 The build deck is easy and great for someone not experienced with building to start to get into RDAs. Well worth a buy!